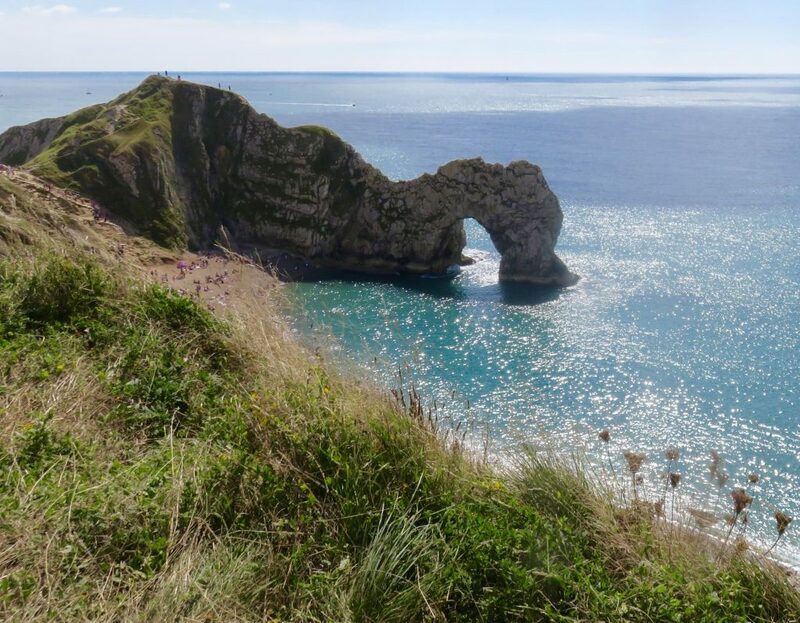 In his sixth and final blog on the South West Coast Path Richard Langley passes though East Devon, along the majestic Jurassic Coast before reaching Poole, his final destination. 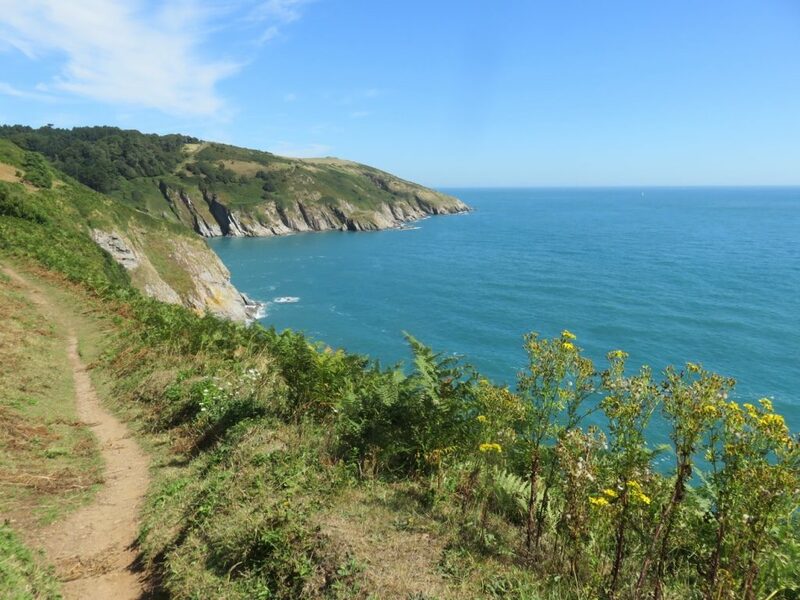 The first day of this final long section of the South West Coast Path was spectacular from the start. I set off from the mouth of the Dart where the river looked dark, deep and cruel. The path past through several small coves along the way, with Mull Bay Cove being the most impressive. 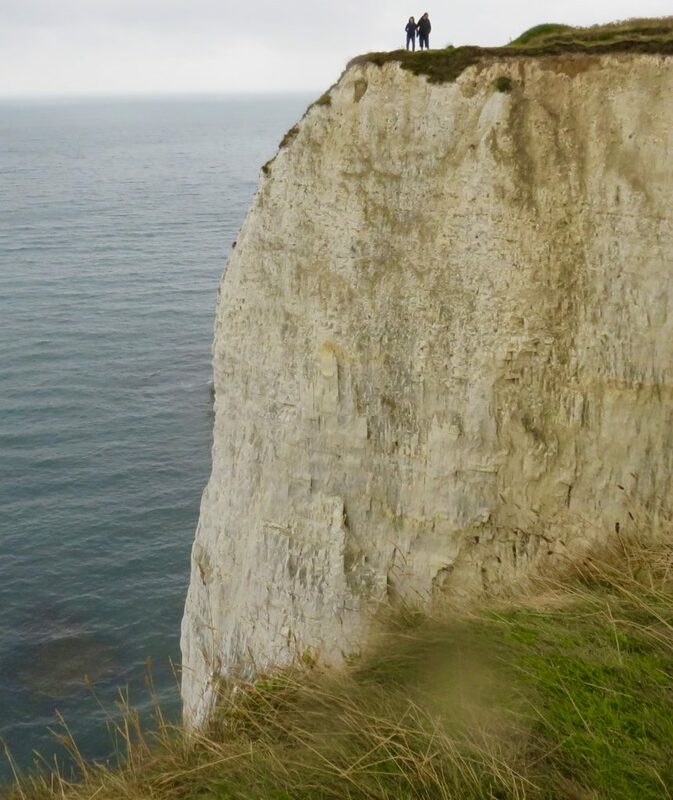 After this, with steeply rising cliffs, the headland opened up. 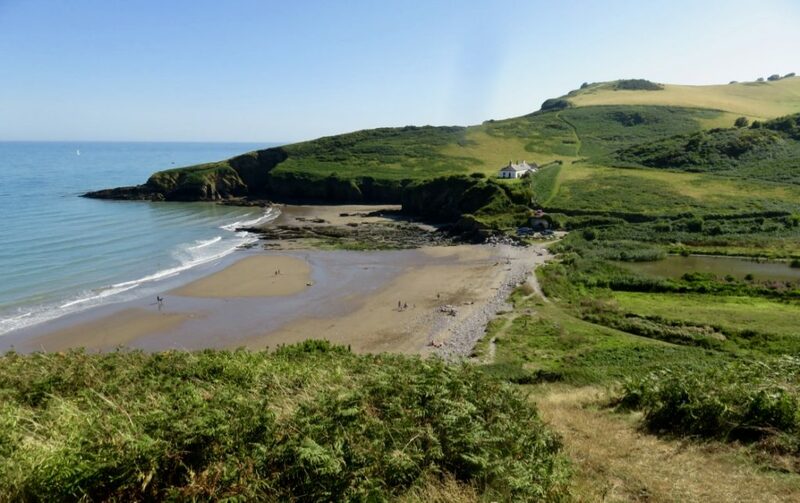 The stretch from Scabbacombe Head on this sunny day was wonderful with many long sandy beaches. It looked tempting for a swim, but with little time I passed them by, only to wish to return one day soon. By mid afternoon I passed the landmark of Berry Head, and from there down into Brixham for a B & B. 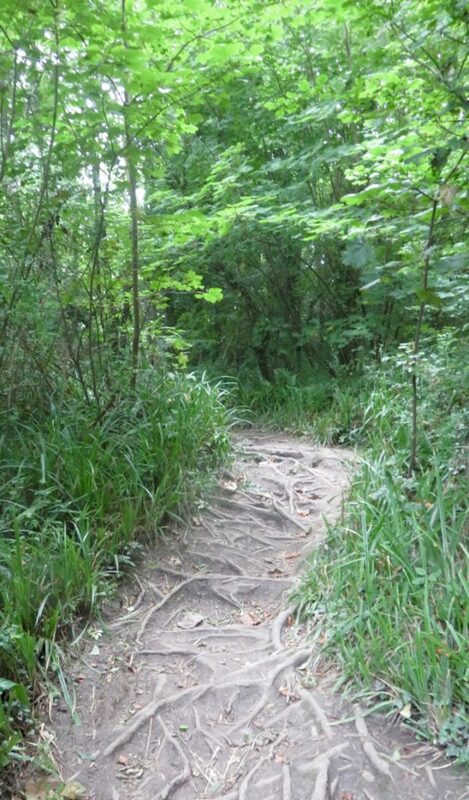 The next section from Brixham via Paignton and Torquay was fairly easy, passing through woods, paths and pavements. 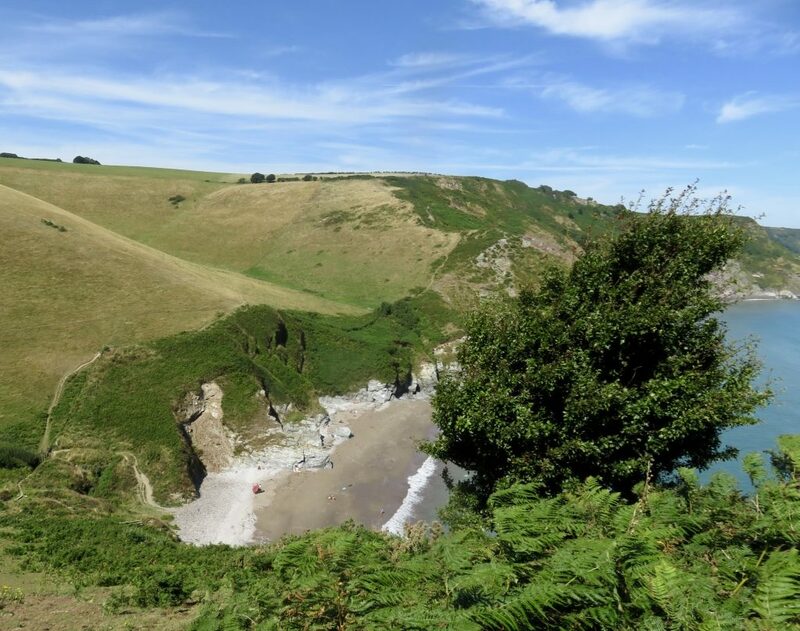 This was not my favourite bit and it was good to get beyond the urban sprawl and back again to the wild South West Coast Path! 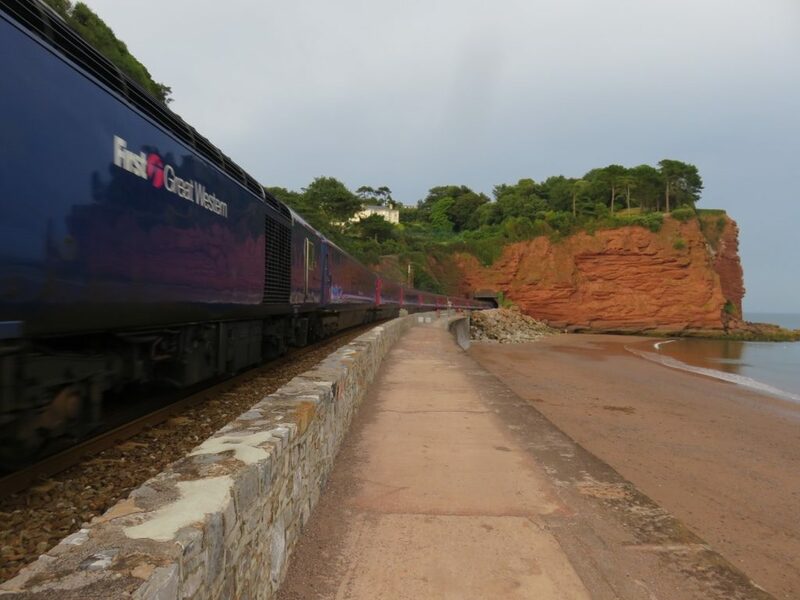 I passed through Babbacombe Bay, and then on to the next ferry crossing over the Teign and on to Star Cross, before taking another ferry to Exmouth. 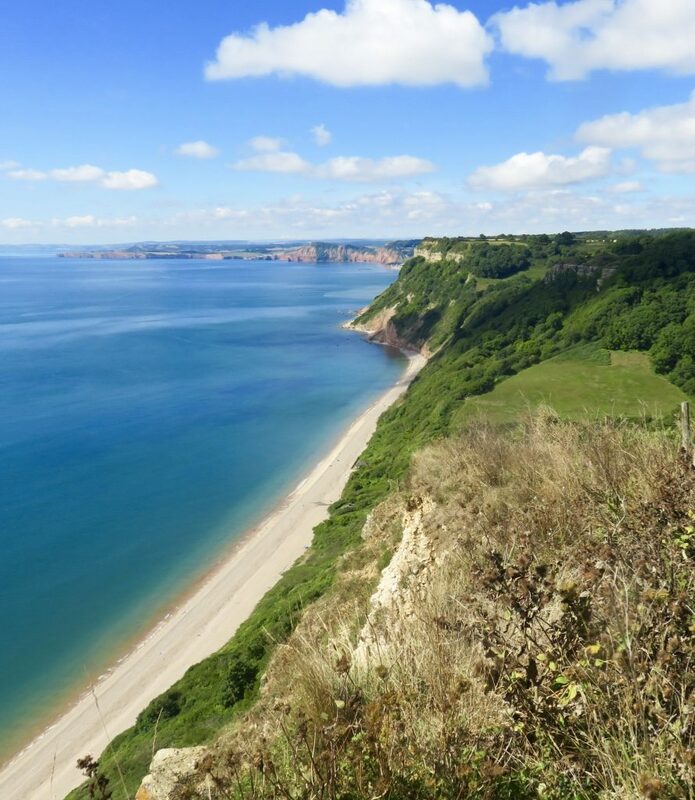 Camping overnight near Exmouth brought huge expectation of the walk ahead along the Jurassic Coast which is thought to be one the most majestic coastal walks in the World. 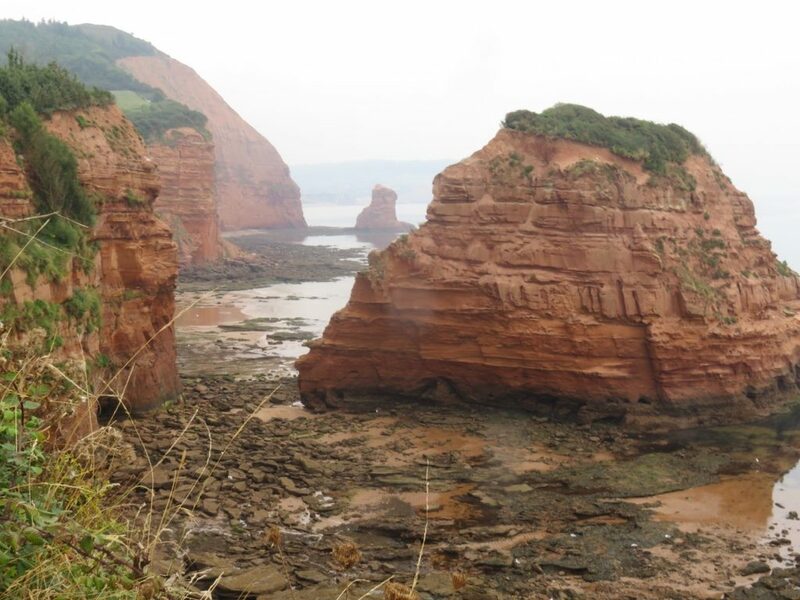 As I approached the Jurassic coastline, the red of the sand stone gave a dramatic change to the cliff top scenery. I found a good camp site in Axmouth and used this point as a pivot to explore the region. Three nights there and a good bus service meant I could walk unhindered without the heavy back pack. 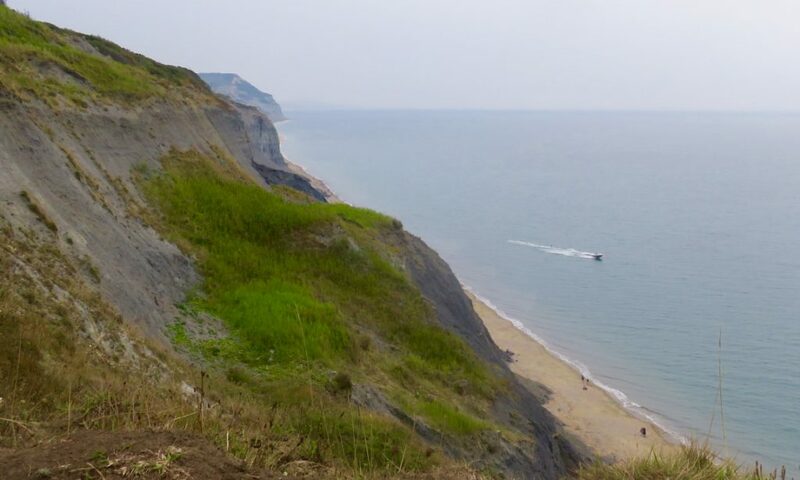 One of the best sections on the complete walk and a highlight of the Jurassic Coast took in the Undercliff between Axmouth and Lyme Regis. This is a national nature reserve and a very special living forest. 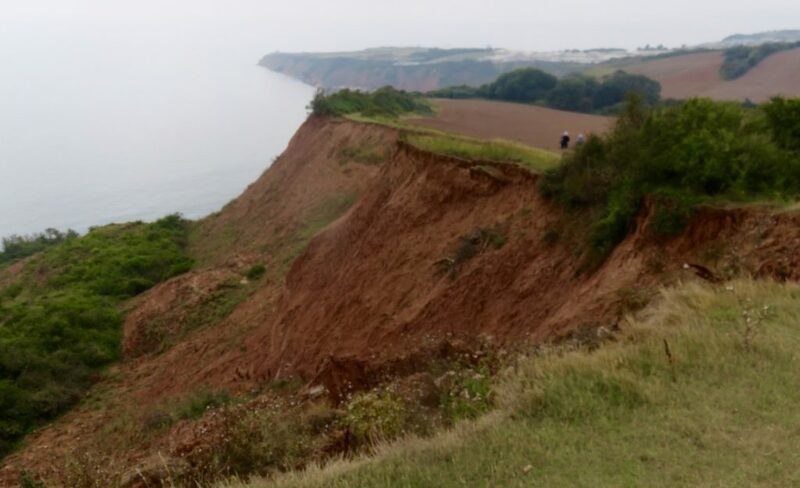 Over the centuries the cliff side has eroded to such an extent that the deposits left small plateaus, enough for forests to develop over centuries. The result is that it is possible to walk right through this forest wonderland, although only recently the reserve was closed due to further land slips. I was so lucky that the reserve opened again a few months before. This seven mile stretch takes you back in time. 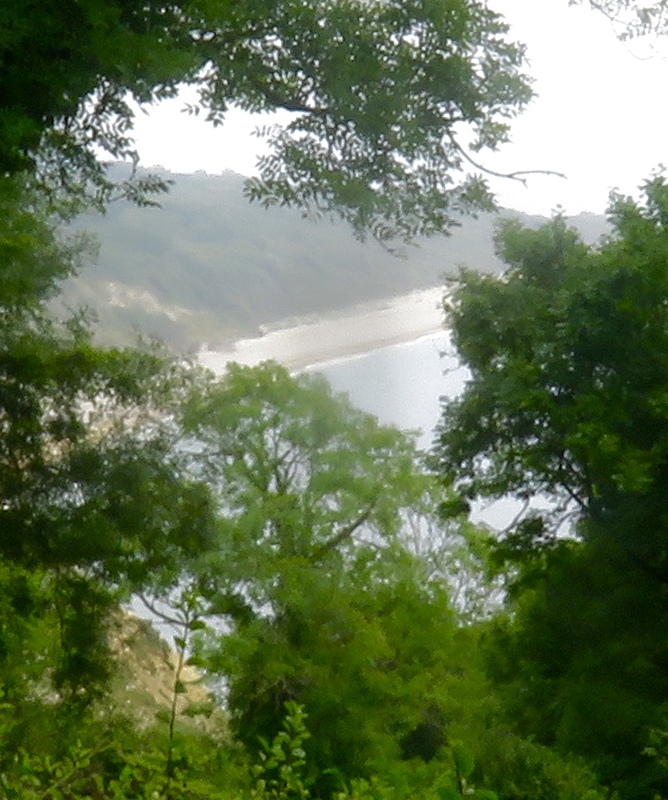 It was a privilege to walk and be completely alone in a wilderness of wooded cliffs and bare rooted pathways. Apparently, the area is home to the Wood White butterfly, an endangered UK species which is able to thrive in this special wilderness. 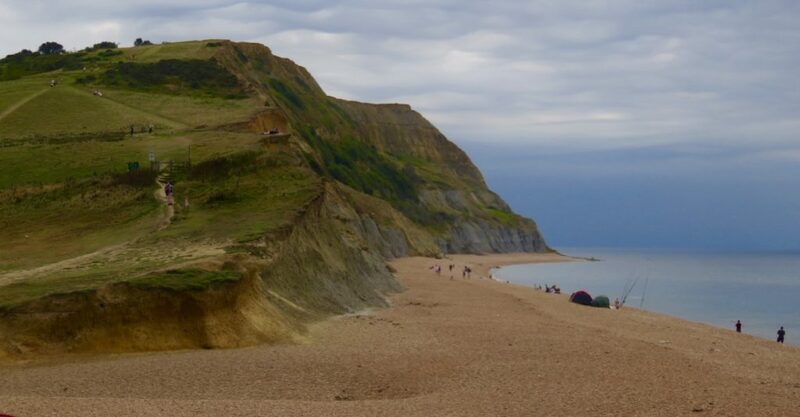 On one of the days I camped in Axmouth, I took a bus to Golden Cap. 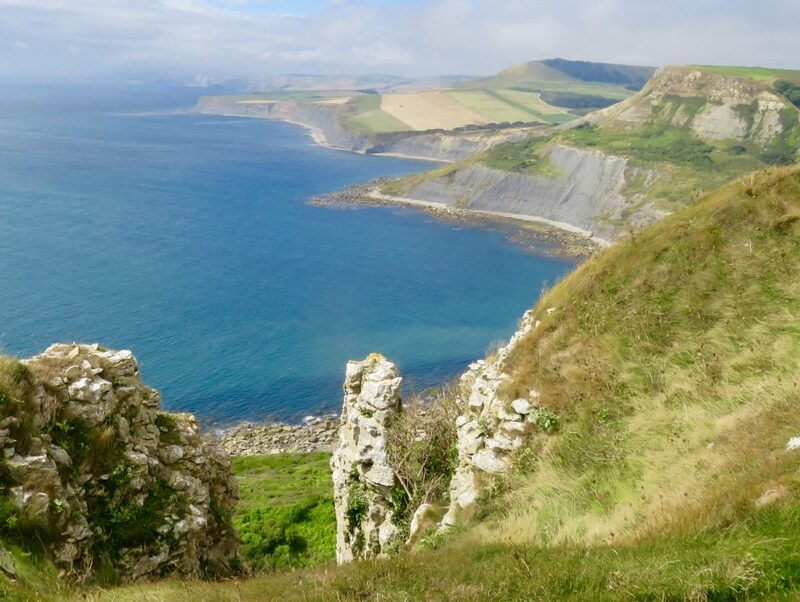 After climbing to the top of the Cap I walked back to Lyme Regis going through Seatown and Charmouth before completing the seven mile Undercliff walk. 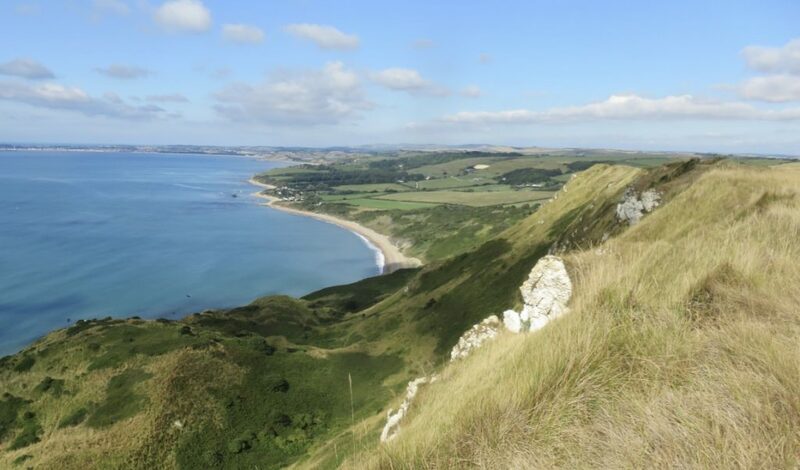 This prelude took in some incredible Jurassic scenery with the highlight of course being the Golden Cap, the highest point on England’s south coast. 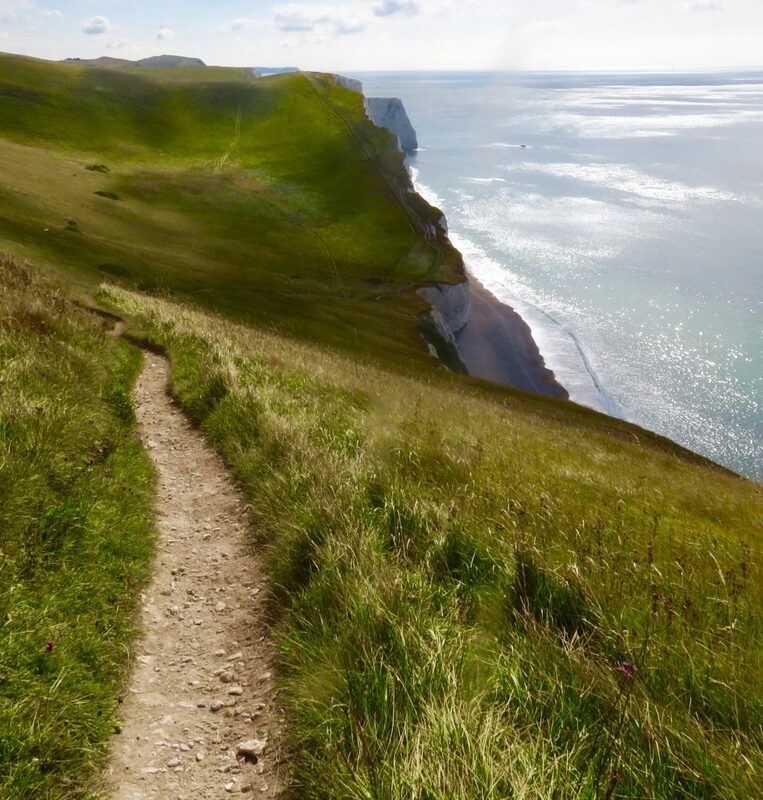 Having already walked part of the Jurassic coast around Chesil Beach and Portland Bill, I decided to take the original South West Coast Path which takes you along the South Dorset Ridgway. 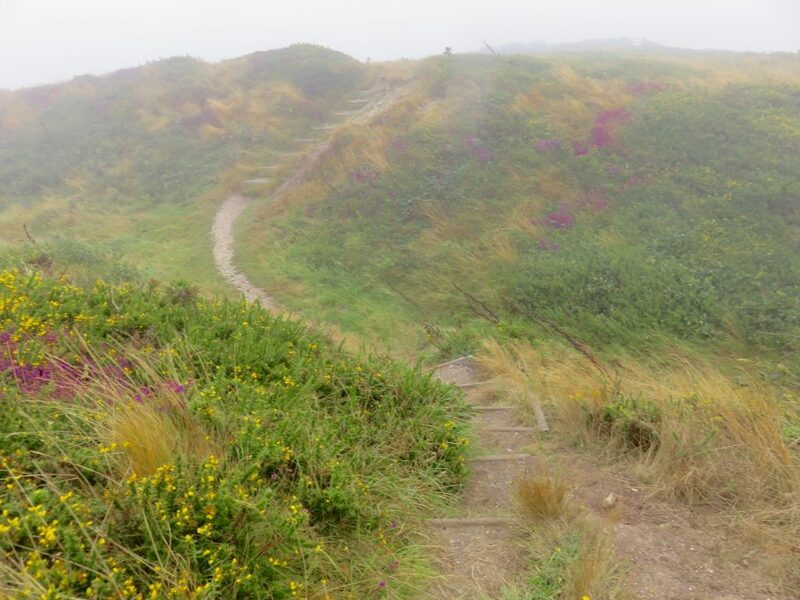 It was a very foggy day with extreme low cloud with Abbotsbury and Chesil Beach barely discernible. This was a very long day. I walked over 20 miles. 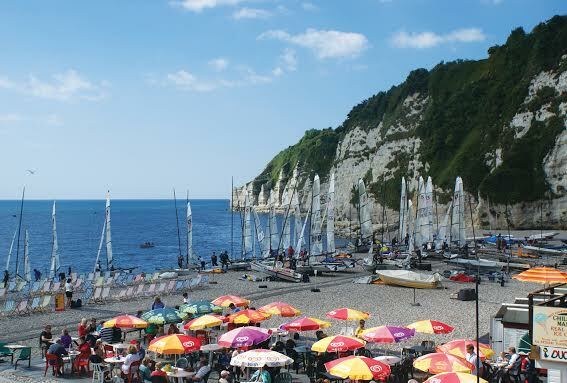 I found a town campsite near Osmington Mills and pitched up there for the last couple of days. The walking from Osmington got ever more spectacular. Approaching Durdle Door and on through Lulworth towards Kimmeridge, the going was as tough as the stretch between Hartland and Bude. It was even steeper and this took its toll…it seemed as if my back pack was seemingly getting heavier. Also it was extremely hot with unbroken sun. 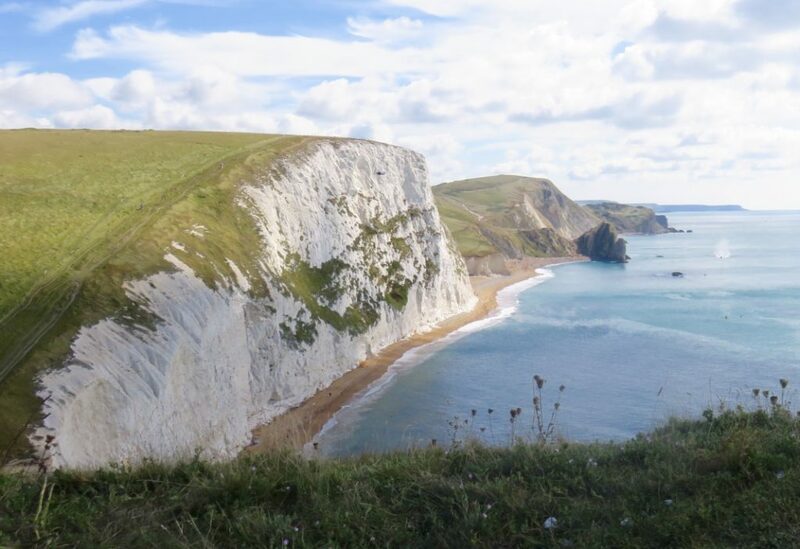 These were clear days and with the constant blue sky, chalk white cliffs and emerald sea. No matter how tired, the sheer stunning vistas just got you through the pain. 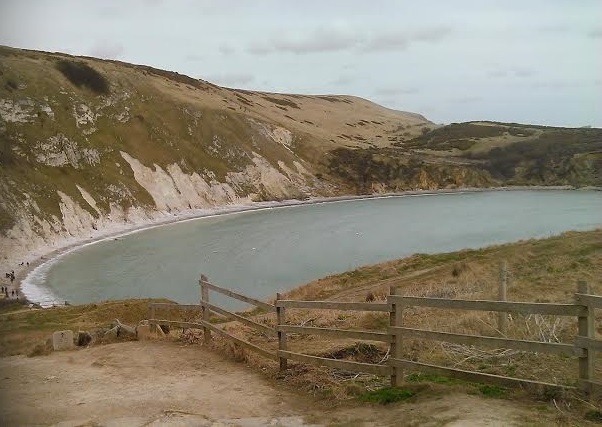 Fortunately, the Army Range beyond Lulworth was open and it was amazing to walk through this normally closed section. The severity of the walk didn’t change however, until Durlston Head. 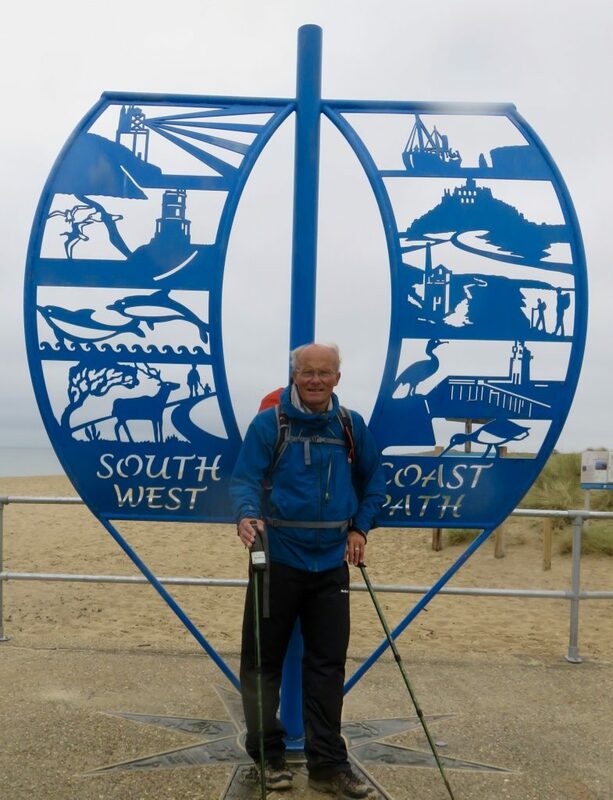 After a rest day near Corfe the final day’s walking was from Swanage to Poole along the Purbeck Heritage Coast. This was another amazing walk passing Ballard and Handfast points. 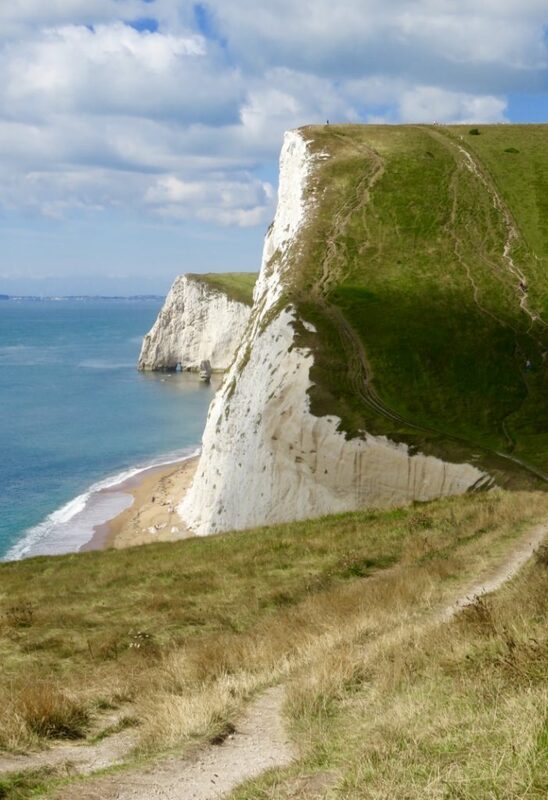 Before the long walk along Studland Beach there were the most amazing high chalk cliffs with the old Harry Rocks high and prominent as you looked back westwards. Walking above the Studland beach I was moving better than for the whole walk. I was experiencing that walker’s high that had eluded me until the end. 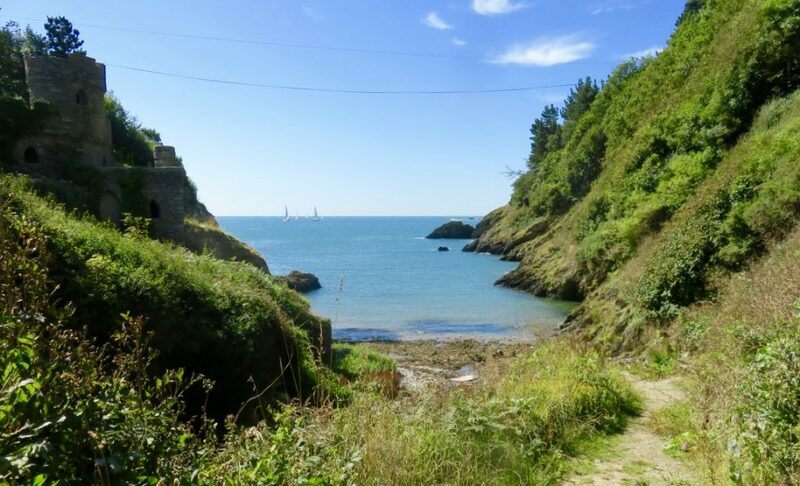 No blisters, no cramps, lungs filled with pure oxygen along the South West Coast Path. I even felt like carrying on another 100 miles. How lucky I was to have completed what must be one of the best walks in the World.